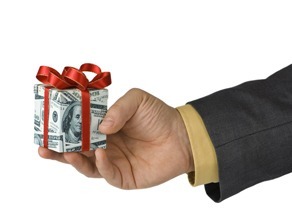 Employee bonuses are additional wages given to employees that do not include their typical salary. They offer excellent company moral and also can be tax deductible for the company. Employees should be aware that their employers do not have to offer bonuses unless they state that they will provide this in the employment contact. Therefore, it is important to first check your contract and read what it states regarding bonuses in the relevant section. If you feel your employer has been in violation of your Bonus Rights, you should initiate the complaints procedure. Firstly, speak to your employer and clarify any potential misunderstanding. If this does not resolve the matter, then you should write a formal grievance letter. If the matter remains insatiate, then you can make a claim to the Courts or Tribunal. At Bloomsbury Law, we have years of experience in the field and are happy to provide you with expert advice.